For easy access and added convenience, mount two Pico remote controls on this modern dual tabletop pedestal. Place the pedestal on your coffee table or leave it on your nightstand and control your lights or shades without having to leave the comfort of your couch or bed. Control connected loads and lights from anywhere using Wi-Fi, an internet connection and the free My Leviton app; that is all you need, no hub required. Simplify control of the residence schedule lights and connected loads to turn on/off at specific times or based on sunrise/sunset, easily group smart devices into rooms, and create scenes to activate multiple lights at once. Customize your experience with adjustable fade rates, maximum/minimum illumination levels, and more if desired. Supports dimmable LED and CFL technologies up to 300 Watts along with support for legacy incandescent lighting loads up to 600 Watts. Decora Smart devices are designed for countries which follow NEMA standards including the United States, Canada and parts of South America. Leviton offers many products that will help lower electrical costs and add convenience to everyday living. By simply replacing standard switches with dimmers reduces energy consumption and extends bulb life. 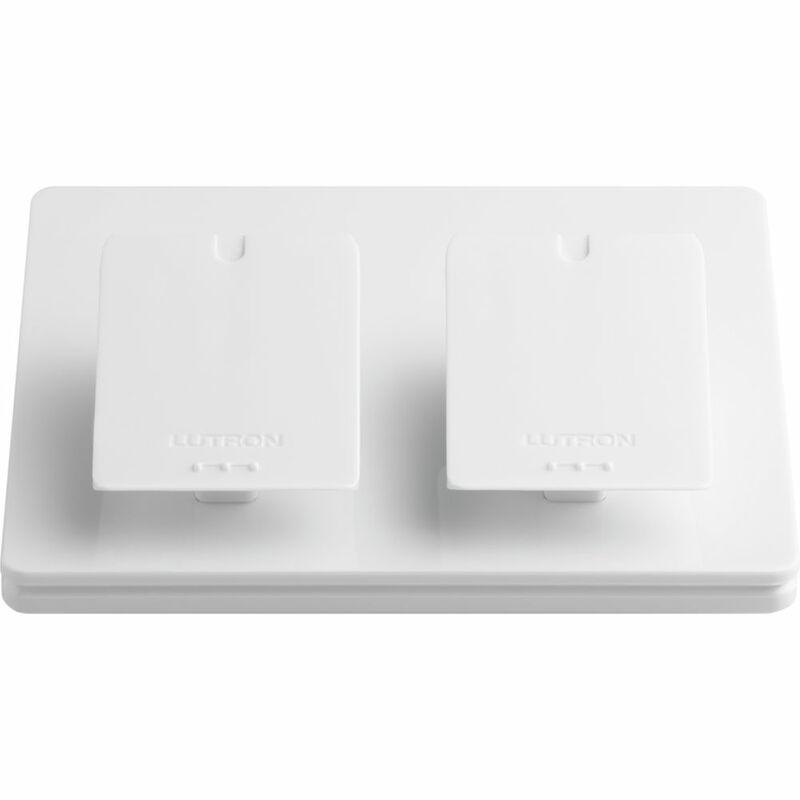 Levitons SureSlide dimmers and fan speed controls feature elegant Decora-styling that coordinates perfectly with the entire line of Decora designer products. SureSlide dimmers offer easy, precise slide control of lighting levels. Renu in a snap! Renu is the smart new line of decorative electrical products from Leviton. Install Renu and get a fresh stylish look, plus the ability to change the color of any Renu device when you update a room. The line includes switches, outlets, GFCIs, dimmers, and sleek, screwless wallplates, available in 20 designer colors. An RE00R coordinating dimmer remote is required for 3-way (controlling light(s) from two locations) or multi-location (more than two locations) dimming. You must use one REI06 dimmer with one (or up to nine) RE00R coordinating dimmer remote(s). The coordinating remote is shallow in size, and back and side wired for fast, easy installation. Use only with Renu wallplates. Caseta Wireless Dual-Pedestal for Pico Remote, White For easy access and added convenience, mount two Pico remote controls on this modern dual tabletop pedestal. Place the pedestal on your coffee table or leave it on your nightstand and control your lights or shades without having to leave the comfort of your couch or bed. Caseta Wireless Dual-Pedestal for Pico Remote, White is rated 4.5 out of 5 by 2. Rated 5 out of 5 by CO from The product has a weighted base to keep it stable on a flat surface. The product has a weighted base to keep it stable on a flat surface.